Robert “Bob” G. Smoot, age 82 of South Bloomfield passed away surrounded by his family at Mt. Carmel West Medical Center, Columbus. He was born on Dec. 13, 1935 in Chesapeake, Ohio to the late Dovel and Ruby (Alltop) Smoot. 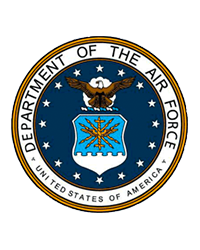 Bob had over a 20 year career in the U.S. Air Force, retiring in 1974 as First Sargeant at Rickenbacker Air Force Base, Lockbourne. He was a graduate of Chesapeake High School. Bob loved his family and enjoyed taking care of his house and yard. Preceded in death by his loving wife of 60 years, Shirley (Gillette) on Aug. 6, 2017; his parents, brother Stewart Smoot, infant sister Shelby Jean, sister-in-law Hazel Cox; brother-in-laws, Max Singer and Horst Kreyssig. Bob is survived by son, Danny (Lisa) Smoot and their son Cole; daughter, Tammy Lewis and her daughters Amber (Bronson) Roese and Ashley (Aaron) West; 3 great grandchildren Avery, McKenna and Addison; sister Pauline Singer; sister-in-laws, Verna Bungay, Jean Kreyssig, Faye Schlecht and Marjorie (Don) Kalwa; brother-in-law, John Cox. family friend, Marco Ccamaque. In lieu of flowers, family requests donations to be made to St. Jude Children’s Research Hospital 501 St. Jude Place Memphis, TN 38105.